If security is a top consideration for your home in Stamford, CT then you cannot do without a proper fence. Yes, the neighborhood is relatively secure but a quality fence will keep you safe from more than just burglars. Feel free to call us directly at (845) 254-0330. At Red Fox Fence, we are experts on everything to do with fencing. We work to help you choose from the best options available to find the one that fits your property the best. As the full service fence company in Stamford, CT, our custom options cover all fence types including entrance gates, pool fences, perimeter fencing, a new tennis court fence, and more. We can build you the perfect decorative structure for your backyard as well as build you a chain link fence for the perimeter of your property. Our mission is to always meet and exceed your expectations with every project. We go the extra mile to ensure every fence installation meets every objective and specification that you have. Such commitment has served us well in the Stamford, CT community. The town is full of fences installed by Red Fox Fence, and we’d be happy to show them to you. We would love to start a conversation about the type of fence installation that you are looking for. Call us today for a complimentary estimate! Since our beginning in 2006, we have created a great track record with the residents of Stamford by providing exceptional fence installation projects to the community. We have the experience to install any type of fence on your property, and any entry gate for your driveway. We install everything from chain link fencing to a custom-made fence for your pool or basketball court. At Red Fox Fence, only qualified and experienced professionals work on projects for our clients to ensure a project is done correctly. As a company, we have over 12 years of experience working to meet the fencing preferences of Stamford residents. Our designs have been recognized for their sturdiness and reliability to keep households safe. Like the true aesthetic property additions that they are, all our fences blend in perfectly with the existing architectural design of your home. As experienced fencing contractors, we would love to hear about all your fencing needs. From deer fences, driveway entry gates and fancy backyard fence installations, there should only be one choice. 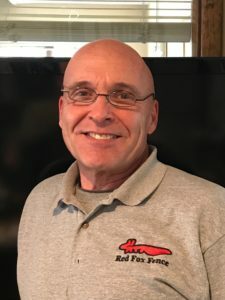 Call Red Fox Fence today at (845) 254-0330 and we will give you a free estimate. Stamford, CT is part of New York’s greater metropolitan area. The population estimates put the city’s count at 131,000, confirming its status as the third-largest city in Connecticut behind only New Haven and Bridgeport. The town is part of the Bridgeport-Stamford-Norwalk metropolis. Being only 30 miles from Manhattan, the city takes pride in being the home of Four (4) Fortune 500 companies, Nine (9) Fortune 1000 companies, and Thirteen (13) Courant 100 companies. The city is also, home to many other divisions of large corporations. These organizations make Stamford the second largest financial district in the New York Metro area only behind Manhattan. Stamford is also an epicenter of recreational activities and a busy nightlife. There is plenty to see including the famous “Sterling Farms Theatre Complex” and NBCUniversal Studios. So why not visit Stamford and see if you can catch a live episode of your favorite NBC talk show!